Villa Happy Days: luxury villa rental in Corsica. 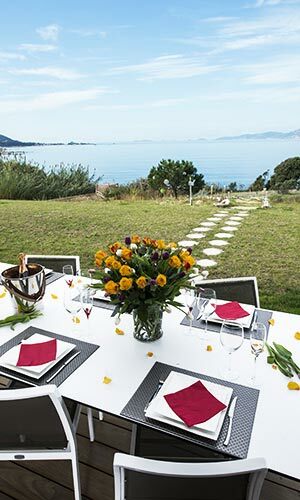 Dream house in the heart of the Gulf of Ajaccio, our luxury villa in Corsica with pool offers stunning sea views of the Sanguinary Islands and the Imperial city. Have an unforgettable seaside holiday in a house fully equipped for 10-11 people. All our rooms overlook the sea and our infinity pool. Find out more about our villa rental for a luxury holiday in Corsica. If you dream of a peaceful haven with unique views of the Sanguinary Islands and the peninsula of l'Isolella in an elegant setting, the HAPPY DAYS villa is the luxury rental in Corsica you were looking for. This 270 m² property has an exceptional location on the Gulf of AJACCIO and can accommodate up to 10 people. It combines comfort, modernity, serenity and privacy for a dream holiday on the Isle of Beauty. One-story and fully air conditioned, our luxury villa gives you the opportunity to enjoy the panoramic views from all living areas, including two bathrooms; it also has direct access to an uncrowded, sandy beach. You will be able to relax in our swimming pool and whirlpool (heated in winter). Our villa offers a panoramic sea view of Ajaccio, the Sanguinaires islands and sunset. The beach can be accessed through a large, secluded and partially wooded park, facing the sea. The villa is located in Pietrosella, near Porticcio and the peninsula of l’Isolella. A dream setting. An infinity pool and jacuzzi awaits you (heated in winter). Enjoy the exceptional views of the sea and horizon while swimming. 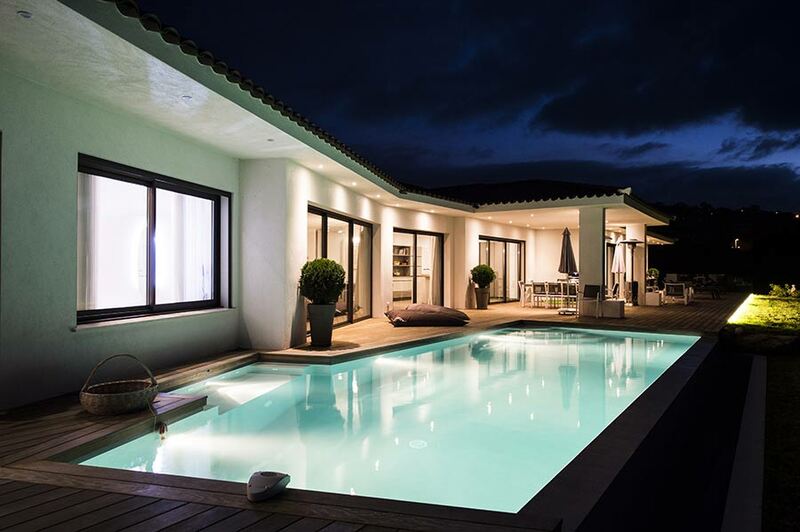 Villa Happy Days is a luxury property in Corsica, specially designed for you to experience a luxury holiday by the sea in the Gulf of Ajaccio. Don't delay, book our waterfront villa in l'Isolella, south of Porticcio. Discover our deluxe rooms with sea views and our almost private beach.